This course meets the requirements outlined in OSHA 29 CFR 1910.120 for 8 (eight) hours of annual workers who remove hazardous waste or who are exposed or potentially exposed to hazardous substances or health hazards. 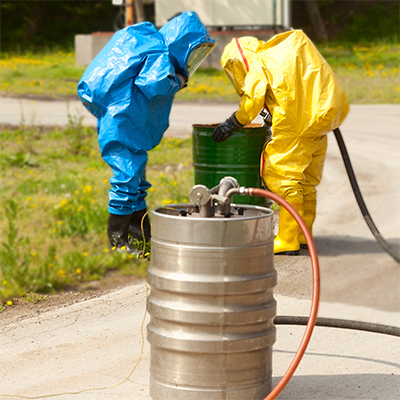 The course is comprised of nine sections covering topics pertaining to workplace hazards associated with Hazardous Waste Operations and Emergency Response (HAZWOPER). Topics include HAZWOPER regulations, site characterization, toxicology, hazard recognition, personal protective equipment, decontamination, medical surveillance, confined space entry and emergency procedures. Upon successful completion of the course you will receive a certificate of completion. Attendees will receive a pdf containing workshop proceedings and reference material.